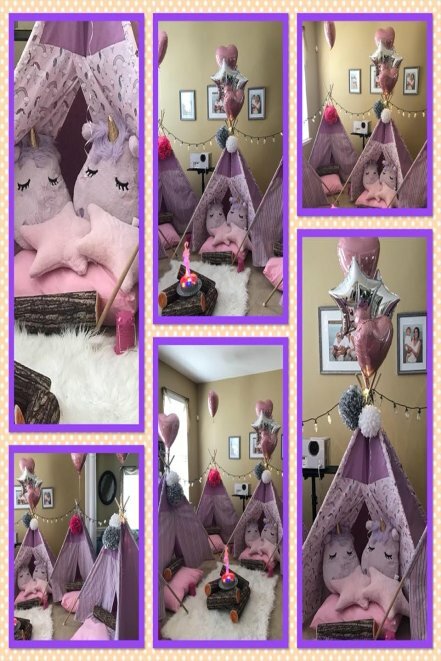 6 themed Teepees with lights – unicorn fabic! "The party was PERFECT! My daughter was over the moon excited to see Stephanie pull up, when she was done setting up, we were all in awe. 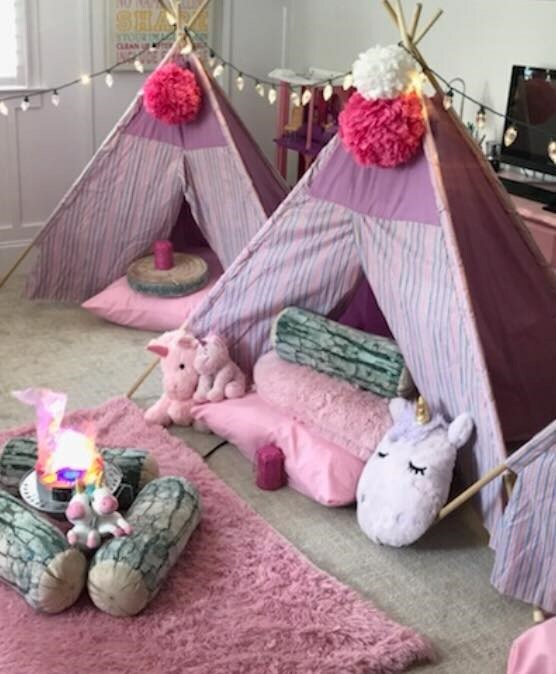 She cared for every detail and left us with an amazing set up for my daughters party! "